The community of Fresno is the largest metropolitan area in the San Joaquin Valley, the fifth largest city in California, and is the largest inland city in California. The current estimated population for Fresno is over 530,000. 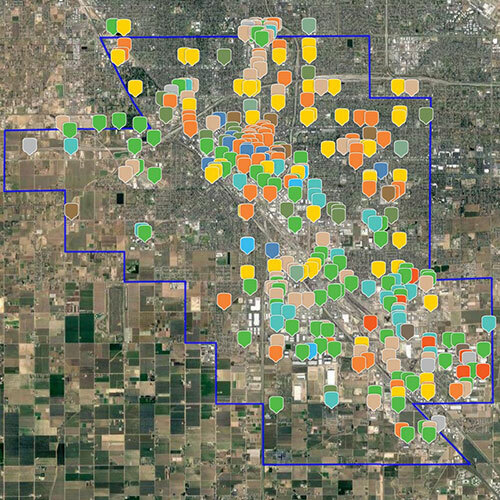 A number of heavily trafficked freeways transverse through the City of Fresno, including highways 99, 41, 180, and 168, contributing a significant amount to the mobile source emissions in the community. In addition to the area-wide sources of pollution, the large population in the area also contributes to emissions from a variety of consumer products. The southwest portion of Fresno also includes a number of industrial sources of emissions. Specifically, South Central Fresno is a densely populated community within the City of Fresno, and is downwind of emissions from the northern portion of Fresno. This community also includes the major roadways of Highways 180 and 41, and their interchange. In addition, emissions reductions in this southern community of Fresno will improve air quality in other communities and cities downwind from the Fresno urban area. This defined community in Fresno also includes the disadvantaged areas of Calwa and Malaga. As a rural area, Shafter will complement the urban area selection of Fresno to form a more balanced initial year of AB 617 implementation. The rural community of Shafter in Kern County has a current estimated population of over 19,000, and is influenced by rural sources of emissions, including the agricultural and oil and gas production industries. 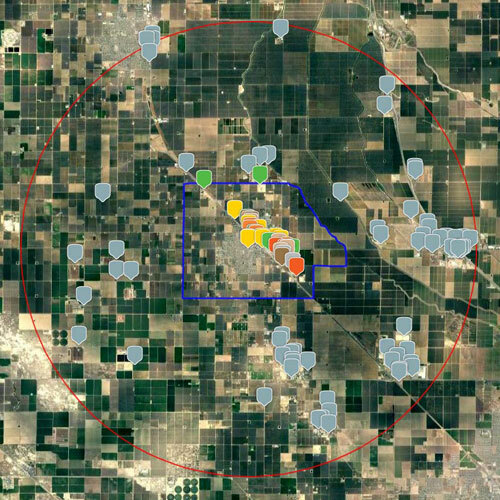 In addition, major roadways in the community include Highway 43 and the Lerdo Highway, both crossing directly through Shafter and contributing to mobile source emissions in the area. Locomotive emissions also influence the community as railroad tracks run parallel to Highway 43. Local area-wide sources such as gas stations, commercial cooking, and consumer products also contribute to the community’s emissions levels. Due to this, the community emissions reduction plans that will be developed for all of the recommended selected areas in the Valley will include strategies that address both urban sources of emissions as well as rural sources that contribute to Shafter’s air quality challenges.